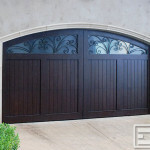 Dating back as far as the sixteenth century, Mediterranean Revival Architecture is an eclectic design style typically used in lavish villas and palaces off the Italian Mediterranean Coast. 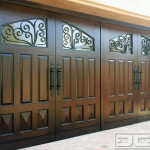 Because of its close association with coastal resorts depicting the Mediterranean's clear deep blue sea and golden beaches, Mediterranean Revival Architecture became extremely popular in California and Florida at the beginning of the twentieth century. 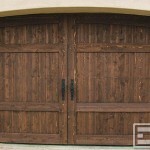 This has resulted in the rise of Mediterranean architecture along the coast with custom homes built to follow the intricate details and affinity for luxury. 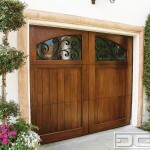 Many of these homes have been beautifully accentuated with custom wood garage doors by Dynamic Garage Door. 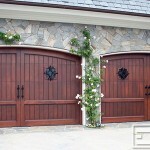 The Mediterranean architectural style and landscape scenery are the perfect inspiration needed to create some of the most gorgeous Mediterranean garage door designs seen in luxury homes throughout the coast. 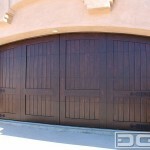 We specialize in combining rich wood stain colors, exotic wood species and decorative iron-forged hardware that make our custom garage doors the natural choice for existing Mediterranean homes or new custom home constructions that require high quality wood garage doors. 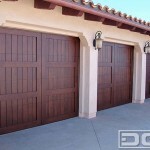 Dynamic Garage Doors are exquisitely designed to complement the architectural style of each home project we work on. 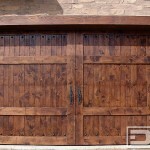 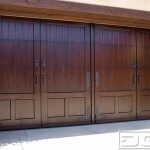 In this gallery you will enjoy numerous custom garage door designs that are truly inspiring. 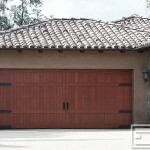 The extensive attention to detail and craftsmanship that goes into each garage door design is carefully thought out to capture the essence of Mediterranean architecture. 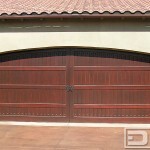 Note the carpentry details in each one of the garage door designs and the use of our hand-forged decorative hardware that add character to each Mediterranean style garage door design. 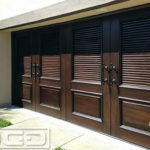 Keep in mind that we can replicate any of these custom garage door designs or create a unique design just for your home. 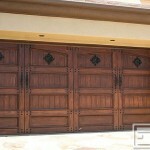 Our designers will help add curb appeal to your home and value with a new, custom-designed garage door/s.